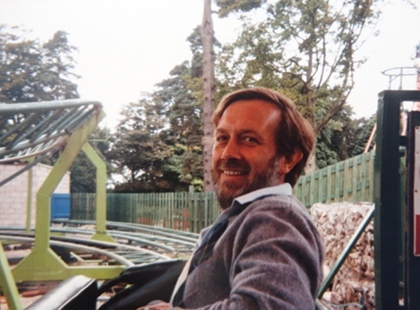 Two villagers who spent years helping run a weekend country show, attracting thousands of visitors, are to be remembered at this year's show. Hurst village has been mourning the loss of the two who did so much for their community including helping organise the Hurst Horse Show and Country Fair. Special events at the show on June 23 and 24 will remember Catherine Lochman who died aged 52 and Terry Bovis died aged 66. Both died in December last year. Trophies for the senior and junior show champions in the equestrian events will be awarded in memory of Catherine, horse show organiser for about ten years. A traybake cake competition will also celebrate Catherine, whose baking skills were widely enjoyed. The weekend's highly popular pet dog races will be named after Terry who ran them for many years. The show is also contributing to a village bench in his memory. Show chair Sarah Barnard said: "Catherine and Terry did so much for the whole village. We wanted to celebrate their huge contributions to the show over many years. Everyone misses them very much." 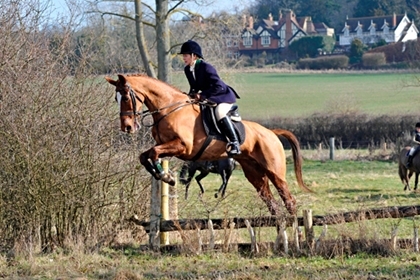 Catherine's love of horses and ponies started when she helped look after trotting ponies in Totteridge, north London. Her great equine love was for Arabian horses, which she owned and showed as a teenager. She was a skilled rider and loved dressage and eventing. She rode to hounds with the draghunt at the Staff College and Royal Military Academy Sandhurst. Her husband, David, said: "Catherine had a real skill with horses, she wasn't fazed by any of them. "She was a very effective 'agony aunt' for horses (and their owners) when they were ill or injured. She worked with several ex-racehorses, rehabilitating them so they had good lives as normal riding horses." Catherine helped establish Hurst Riders Club, encouraging skilled and safe riding, particularly for young riders and securing bridleways for off road riding around Hurst. Mother to three sons, Nicholas, Tristan and Oliver, she was involved in the village pre-school playgroup and primary school and was a keen participator in Hurst horticultural show's flower classes. Terry Bovis was a founder member of the horse show and country fair when it started in 1979 and continued to do much work for it. His talents included erecting the large marquees in demand for many village events, including the horse show and fair. He used an old bicycle to make a machine to tow bait which entrants in the races for terriers and other dog breeds chased. In the day or two before the show he scoured village lanes for road kill rabbits to act as bait. Terry, a gardener for 43 years at Bill Hill Park near Hurst, was an enthusiastic member of Hurst Horticultural Show committee and loved growing vegetables and sweet peas on his two allotments. He was a Hurst pantomimes stage hand, he started a Hurst youth club and was on the H2K millennium committee in Hurst. He was closely involved in Father Christmas appearing for over 25 years at places including the village school, playgroup and fairs. He leaves his wife Christine, daughters Claire and Naomi and five grandchildren. Christine said: "Terry's heart was in the community of Hurst, always ready to lend a hand at any event."